The rules are extremely simple! Make a game that integrates ANSI artwork as the main graphics of a video game. This does not mean you have to use an engine built around the classic limitations of ANSI / text mode. Feel free to create a 3D game with ANSI used to texture your characters. Create a traditional platformer or puzzle game using ANSI to create your characters rather than pixel art sprites. Or go for hard mode and create an actual text mode limited game like old MUDs of yore! Feel free to emulate the look of ANSI using pixel art, or better yet use a program like Pablo Draw (WIN / OS X / Linux) to create genuine ANSI art. You are even welcome to reach beyond ANSI into other text modes ranging from ASCII, PETSCII and beyond! 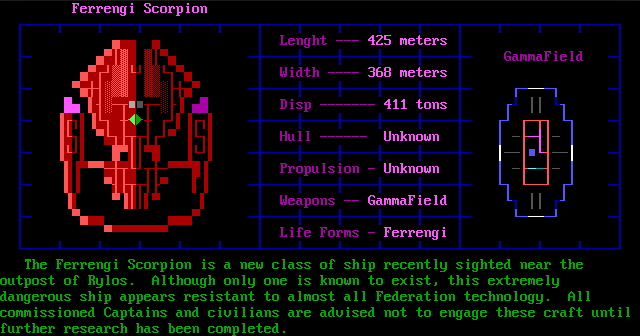 Hell, even create your own alien text mode if you wish! Twine games are also welcome, but find a way to integrate ANSI style graphics in a way that is beyond simple text! 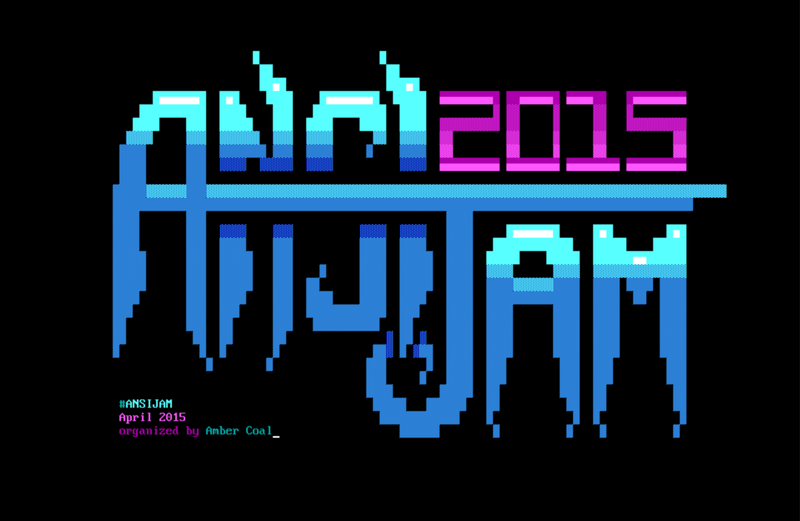 ... and if you need some inspiration for ANSI art I highly recommend checking out what the talented people involved with Blocktronics are capable of.